Earn $6 per Kit sold! We're here to help schools, sports teams, churches, day cares and other non-profit groups like yours raise BIG!BIG! 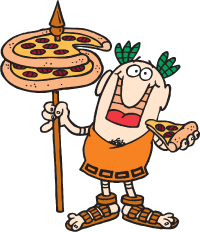 DOUGH with Little Caesars Pizza Kit Fundraising Program! The total profit you earn depends on your group -- how you promote your fundraiser, how motivated your sellers are, and how often your group runs fundraisers. Our experts will share proven tips and techniques with you to help you reach your best profit potential! Start Your Little Caesars® Pizza Kit Fundraiser Today! Register online or call us at 1-888-452-5487 Monday - Friday from 8:30am – 8:00pm ET. Delivery may not be available in all areas.